Here is a new EP from a new artist to our label, Sebastian Eric. As we embark on new adventures with new and fresh sounds, Sebastian brings us new manly energy, for a new spring-summer season! Groovy and steady, as we like it, he is already a master at Romanian sound recipes. And as dessert we have fresh pie from mister Primarie, the man behind everything at Tzinah, delivering the remix for our table. This is Sebastian Eric with Strawberry Effects EP and Primarie remix from Tzinah with Love! 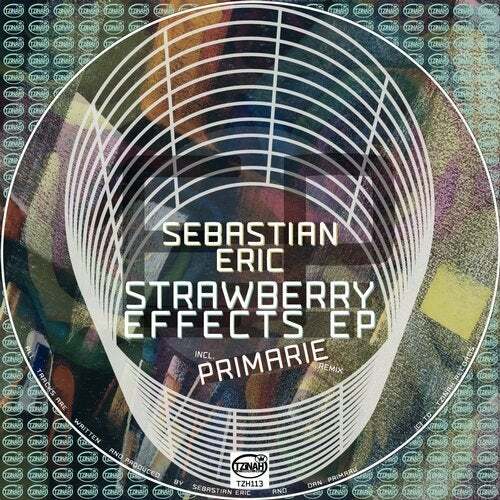 EARLY FEEDBACK: Sebastian Eric - Strawberry Effects [TZH113] incl. Primarie is supported by Richie Hawtin, Olivian Nour, Shoxy, Daniel Broesecke, Suolo, Sandro Kuhne, Alex Rusu, Alexandar Kyosev, Vincent Casanova, Iuly.b and many more! Thank you!